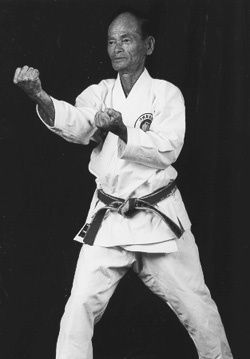 Seikichi Odo - founder of Okinawa Kenpo Karate Kobudo and noted kobudo practitioner from Okinawa. In the late 1990's Master Odo renaimed his style of martial arts "Ryukyu Hon Kenpo Kobujutsu". Master Odo passed away on March 24, 2002 in Okinawa, Japan.